So it’s now official, the Brits don’t save enough…there is nothing new there. What is worrying however from the latest HSBC research: Future of Retirement: A New Reality is that of the 15,000 people surveyed across 15 countries, almost half have never saved for retirement! The United Nations predicts that one in five of us will be retired by 2050 . The whole concept of retirement and it’s effect on individuals is continuously evolving. With greater life expectancy, people are becoming increasingly concerned about their future health and having enough money to meet their needs. Up until now we were aware that not enough people were prepared for this stage in life; as a result of this latest survey we now know by just how much. The HSBC research shows that although people expect retirement to last for an average of 18 years, they envisage their savings to last for just ten years, leaving an eight year short-fall and therein a significantly reduced standard of living. Those surveyed calculated that they would need 78 per cent of current income to continue a comfortable lifestyle in retirement. The reality however is different in that most people’s actual savings levels are unlikely to generate this amount of pension income. The British are not alone in this dilemma; workers in France face a similar situation with a 10-year shortfall on a 19-year expected retirement period. 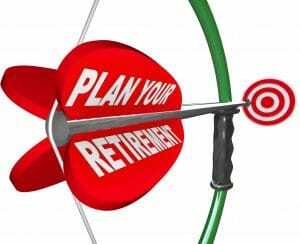 56% of the UK working population is not making adequate preparations for retirement, while 19% are not saving at all. 31% worry that they will need to work longer than planned to fund their retirement. The global downturn over the last 5 years, along with the current low interest rates for savers, has caused many to think again in terms of their retirement planning. For some this may mean beginning to save more, whereas others may choose to work longer. The reality is that if we wish to achieve our retirement aspirations such as holidays, hobbies and more family time, we will be obliged to save more. The solution is same as it has always been; the earlier you start to plan, the better prepared you will be!